Different regions have different problem plants, and to make it even more confusing these same plants are only toxic if eaten in certain amounts or in certain stages of growth, while others are toxic at all times. 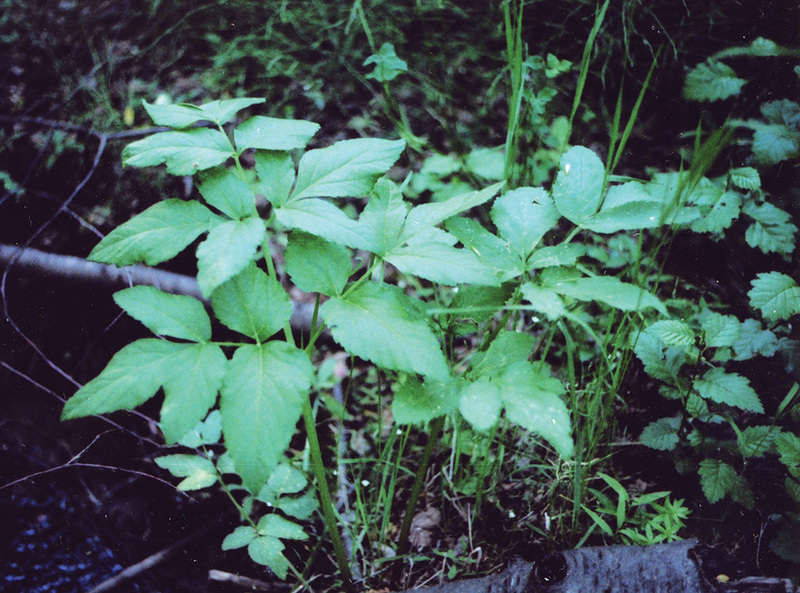 Rachel Turnquist, a forage extension specialist in Saskatchewan, says there are many toxic plants in Western Canada. You need to know which plants are a problem in your pastures, and where they might be located. Some such as water hemlock, wild parsnip, and poison hemlock thrive in wet areas near streams, dugouts or sloughs. “If you use native pasture for grazing, you might be surprised at how many toxic plants are out there. The main reason we don’t see more poisonings is that generally cattle won’t eat them. Making sure you have healthy, vigorous pastures will decrease the risk for poisoning. Most poisonous plants are avoided by cattle unless there isn’t much else for them to eat,” says Turnquist. It’s a different story when cutting a field for silage or hay. “Cattle eat rapidly, and in hay or silage they may not sort out the poisonous plants. When cutting, especially in wet areas, get out and walk through — and familiarize yourself with the plants before you cut a field for hay or silage,” she says. “Also check fields and pastures during drought conditions; sometimes certain plants accumulate nitrate,” she says. Others accumulate selenium, which can be toxic in high doses. 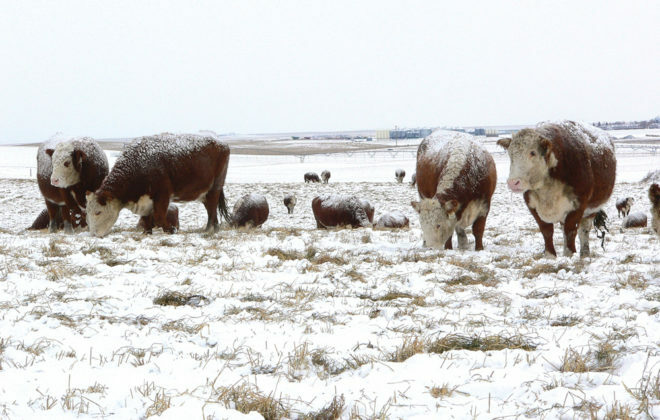 Dr. Barry Blakley, a toxicologist at the Western College of Veterinary Medicine in Sask­atoon, says turning cattle out too soon on spring pastures can leave them exposed to danger. “We saw a number of poisonings this year because ranchers ran out of hay and turned cattle out too early. The only thing growing was toxic plants, because they tend to grow early. Thus range readiness is important,” he says. At the other end of the grazing season, if you leave cattle out too late in the fall they may consume toxic plants when the more desirable forage plants are dry or in short supply. “Toxic plants can be the most attractive plants out there if feed is short,” says Dr. Bart Lardner, a forage and beef research scientist at the University of Saskatchewan. “Sometimes just providing salt and mineral will reduce the risk. If you supply what these animals need, they are not as likely to go seeking something strange to eat,” Lardner explains. “Plant abundance is another issue. If there are only a few toxic plants in a pasture there will be less risk. Often it’s younger, inexperienced cattle that have a problem, but not always. Aversion to toxic plants is something they learn,” explains Blakley. It also depends on what they choose to eat. Certain parts of a plant — the seeds, leaves or roots — may be toxic only at certain times of the year. “If a field has been recently sprayed with herbicide, this may slightly damage some plants that are normally not toxic and make them toxic, by affecting the growth and metabolism of that plant. In some cases when we have a wet fall, the new growth may sometimes be more deadly — such as plants that contain cyanide and nitrates,” he says. Trees that are toxic include oak and red maple. “With oak poisoning the pasture is usually overgrazed and cattle are forced to eat oak leaves and/or acorns. In Western Canada we don’t see much oak, but in Eastern Canada there are many cases of oak poisoning,” says Blakley. Red maple poisonings are more common. “In these cases it’s often because strong winds have blown over the trees and cattle have access to leaves and branches on the ground,” he says. “The plants we analyze most commonly in our lab are those containing nitrates and cyanide. Both contain nitrogen. Plants require nitrogen compounds to create necessary amino acids, but under adverse growing conditions (drought, herbicide use, changing temperatures in fall when plant metabolism goes up and down), instead of the nitrogen being converted to amino acids it stays in the plant as nitrates or cyanide,” he explains. “Nitrates could also be in the water, so it’s not just the plants that might be toxic, and it could be a combination. When assessing problems you need to look at the water as well as the feed.” Cattle might be getting a double dose of nitrates, and there could be more in the water than in the plants they consume. 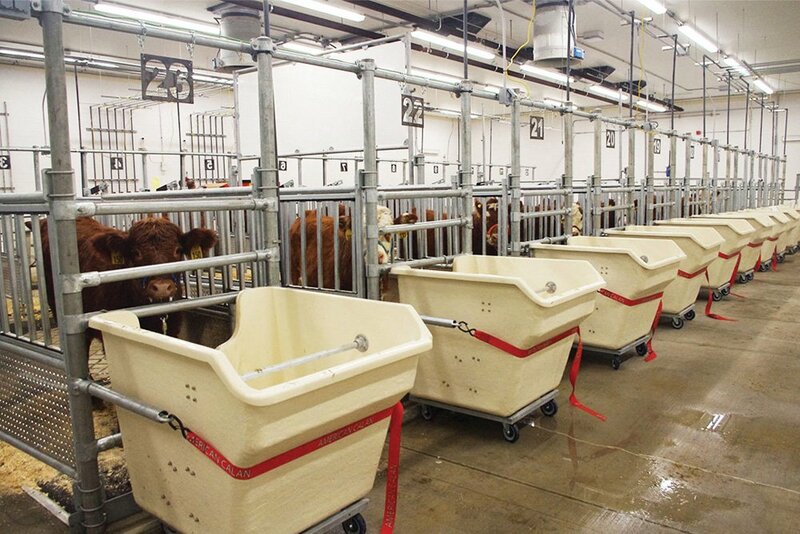 “Cattle can tolerate about 10 times the level of nitrogen in plants than they can in water. We see a fair number of nitrate poisonings, because it’s also in fertilizers.” Run-off from a fertilized field into the water source can be a problem. “If you can get to those poisoned animals in time, they are treatable, but usually they are dead before you find them. There are about 60 different plants that can accumulate nitrates, and a handful that can accumulate cyanide,” says Blakley. High levels of oxalates can also be toxic. “Plants like rhubarb and sugar beet tops contain oxalates. There are a number of plants that do, but usually cattle won’t eat them. 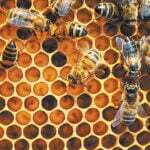 The oxalates tie up calcium in the body and the animal develops gut problems and kidney problems, and some cases look like milk fever,” he says. “We see lots of problems with water hemlock, which is more toxic than poison hemlock. Water hemlock tends to grow in wet areas. One root will kill a cow, causing convulsions before death. If the ground is wet the cow may pull the whole thing up and eat the roots. 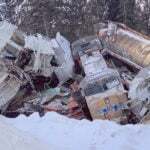 “We’ve also seen poisonings when snowfall is deep, and the only thing sticking up is water hemlock because shorter vegetation is covered. The cow pulls up the plant and eats it. We’ve also seen human poisonings, because the roots look like water parsnip —like a carrot but white,” Blakley says. Wild parsnip is another problem in some areas. “If a person touches it they develop a severe rash. Water hemlock and wild parsnip can both be dangerous if you touch them. 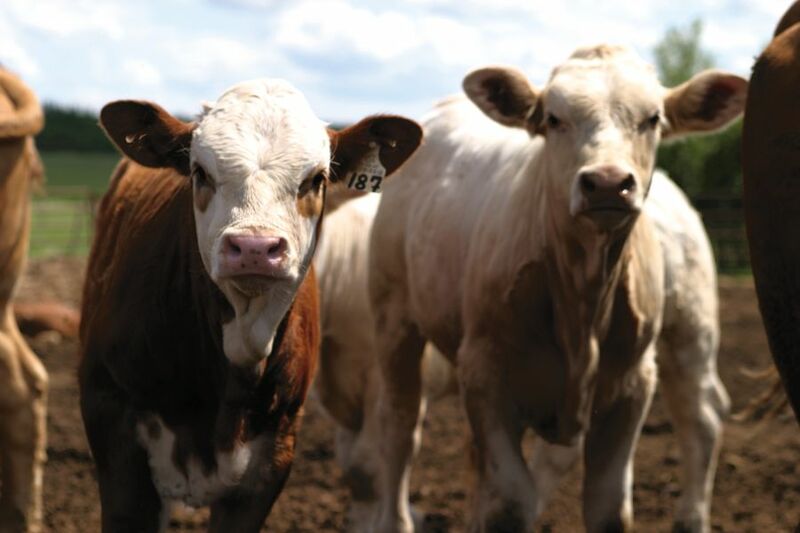 If cattle eat these, contact with the mouth tissues can give them oral dermatitis and a painful mouth,” says Turnquist. “If water hemlock gets cut with hay, the leaves are not as toxic as the roots,” says Blakley. “If it’s a while before the hay is fed, over time the poison in the leaves will diminish. I don’t think you’d want to take that chance, however; if there are any roots in the hay it will be deadly, no matter what. 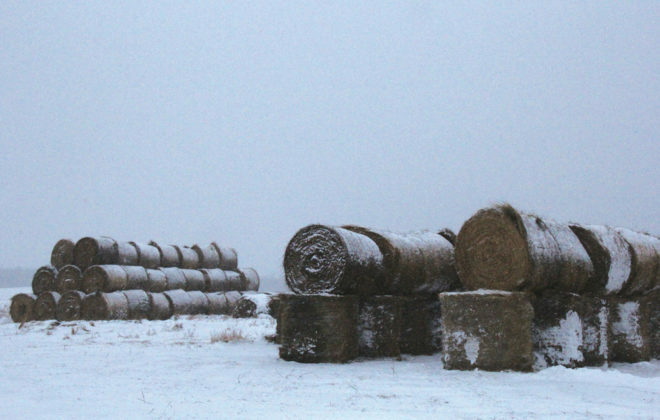 It’s best to try to avoid getting any water hemlock baled up with hay,” he says. 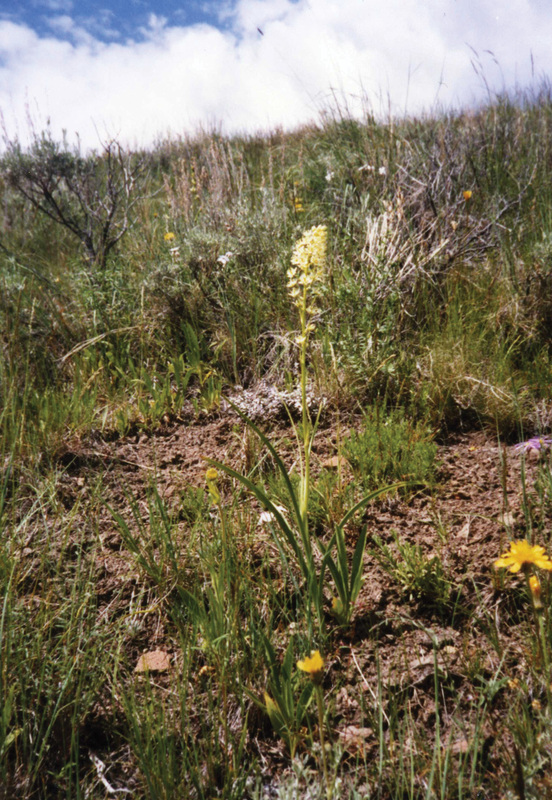 “Another poisoning we’ve seen cases of this year is death camas. It grows early in the spring, and many cattle were turned out to pasture this year before the grass was ready. The root is a bulb, like a small onion, and very juicy. Cattle generally don’t eat these plants unless they are short on feed,” Blakley says. “Larkspur and monkshood can be very deadly because their toxins tend to affect the heart. These plants grow lush in mountainous areas. Another group of plants we get calls about is horsetail; it contains a thiaminase enzyme which breaks down B vitamins. This is a serious problem in horses and not so much in cattle because they make their own thiamine more efficiently. “Another plant that has a similar action is bracken fern. It also contains the thiaminase enzyme, and causes B vitamin deficiency in horses. 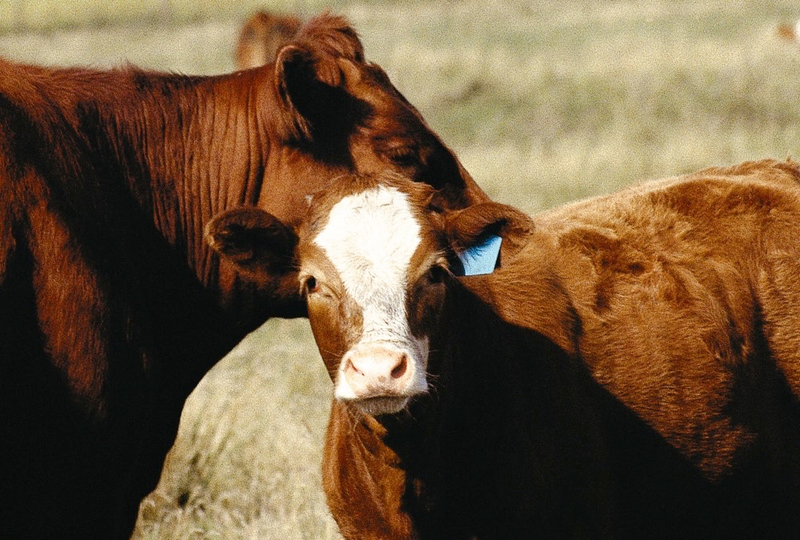 Cattle tend to become anemic (aplastic anemia — which means the bone marrow doesn’t work), which is a different problem. Usually cattle won’t eat bracken fern, but if the pasture is overgrazed they might. 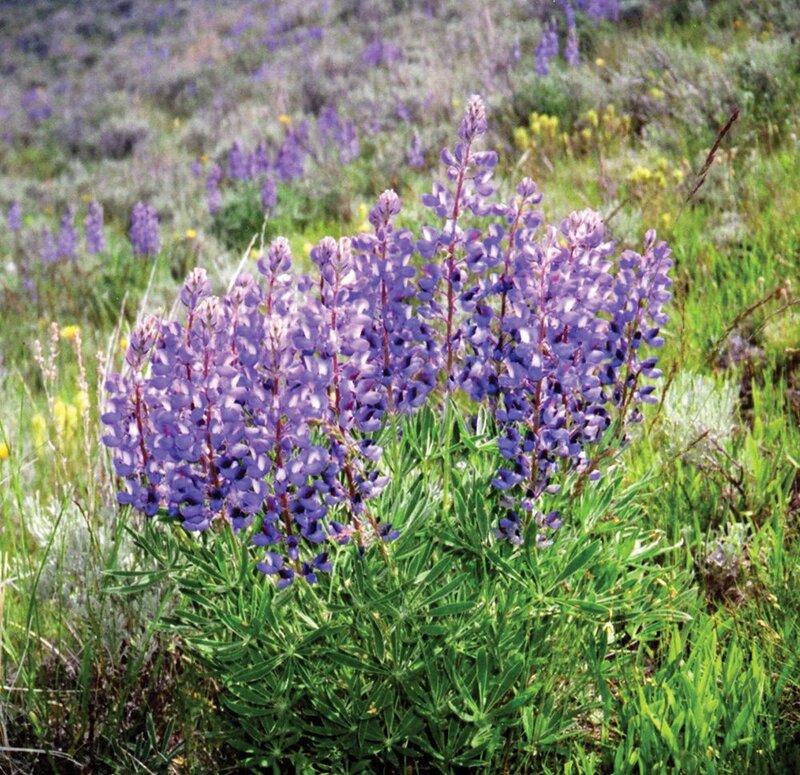 “Lupine, sometimes called blue bonnet (see photo at top), is another problem plant. Eaten during early pregnancy it causes deformities in the calves — crooked legs, fused joints, cleft palate. “On the plus side, with the exception of water hemlock, cattle have to eat quite a lot of these plants for a poisoning to occur. Dose is a big factor,” says Blakley. Another group of plants that cause problems is the Astragalus family that includes milkvetches and locoweeds. Some are selenium accumulators, so if cattle eat very much they develop selenium toxicity, which is chronic. They lose their hair, have neurologic problems, lose weight, and eventually die. These plants are found all over the country, and during a drought they keep growing after the good forage plants are gone. Some plants cause liver damage, which in turn, can cause photosensitization. Affected animals may slough off large areas of skin, especially non-pigmented skin under white markings. The underlying cause could be liver damage, but in some cases they develop photosensitization if they eat certain plants that contain photosensitizing agents. “St. John’s wort is a common one, and kochia. Some of the blue-green algae can also cause photosensitization. Anything that causes liver damage, whether it’s a plant or a chemical, can cause photosensitization,” he says. Plants that contain pyrrolizidine alkaloids cause liver damage, and a couple of tansy ragworts are the classic example. “Sometimes cattle get into wet areas, sloughs and bogs where there might be water hemlock or seaside arrowgrass,” Lardner says. “Some legume species can also be toxic, including some of the native vetches such as two-groove or narrow-leaf milkvetch. The milkvetches are part of a very large family of legumes. Cicer milkvetch is a non-bloat legume that is readily found in many of our binary mixtures for forage, but some of its native cousins are toxic,” says Lardner. “We have issues here with leafy spurge and absinthe wormwood (part of the Artemisia family, similar to sagebrush). The wormwood is a prolific seed producer. It’s not very palatable but invasive and readily spread. The seeds can lie dormant for years and then germinate under the right conditions,” he adds. To avoid problems, the key is to manage for vigorous pastures so cattle are never short on feed. Turnquist says you might be able to get rid of patches of toxic plants, depending on what they are, or just avoid cutting those areas for hay, or fence them off from grazing. “Many toxic plants can be controlled with herbicides but some (like leafy spurge) can be controlled by grazing with sheep or goats,” says Lardner. “Some folks here have herds of goats controlling tansy mustard and other noxious weeds. Sheep can also do an incredible job with leafy spurge.” Some people with goats hire them out to clean up weeds in community pastures. “Usually if cattle have good feed, they won’t eat toxic plants,” says Blakley. 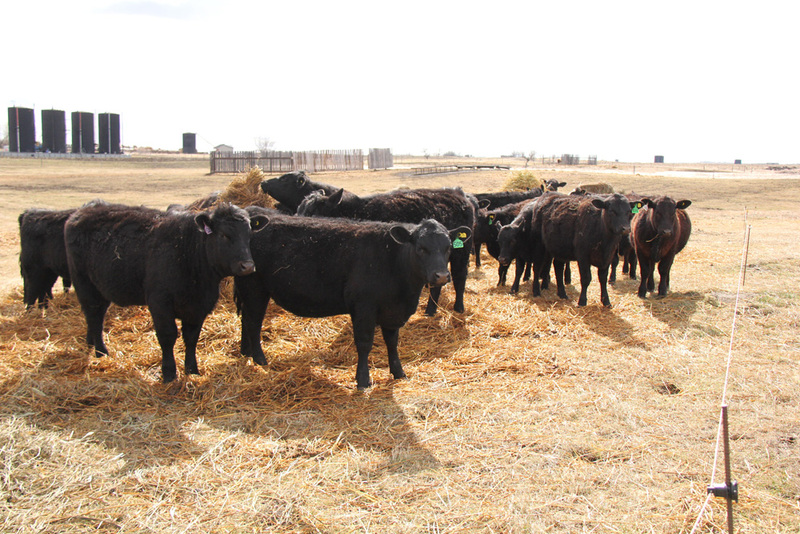 “In a situation where cattle may be short on feed, such as during a storm, or when pastures aren’t ready, if you provide extra feed you will minimize chances for poisoning,” he says. If you have chronic problem plants in a certain area, the best prevention is to fence it off. “If it is more widespread, you may have to use a chemical to kill every plant in the field and then replant good forage species. Otherwise you may continue to lose animals. If there are only a few areas that are really bad, you could spray those and then reseed them. If you don’t get all the plants in the first go-round, however, they will eventually come back,” says Blakley. It’s not always easy to determine the cause of death from toxic plants. 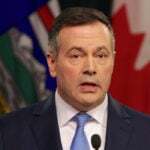 “Most labs in Western Canada do not have the analytical capability to check for water hemlock’s toxin, for instance,” says Blakley. “The diagnosis is primarily based on post-mortem and history, and circumstantial evidence of what the animal might have been eating. Sometimes, if you are lucky, when you open the rumen you might see the plant still there. The rumen is huge, however, and it may be difficult to sort through all of that material and find it,” he says. “Typically, what the veterinarian would do, on a possible plant poisoning, is rule out chemical problems or other disease problems. What’s left on the list would be plant poisoning, but some of these can be hard to confirm. If the cow is dead in the middle of a patch of tall larkspur, this would be an obvious assumption. 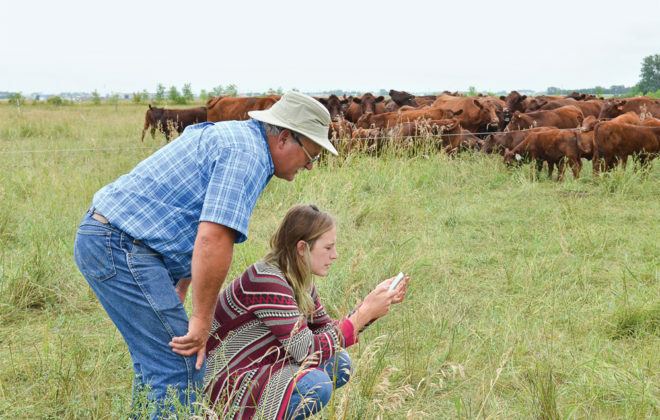 If there is history of recent pasture movement, and cattle hadn’t grazed that pasture before, sometimes you can see where they have actually eaten in an area where there are poison plants,” says Blakley. “We had a case a few years ago where the rancher moved to a new pasture and the cattle grazed arrow-grass, which contains cyanide. We saw exactly where they had grazed it, and one cow ate a lot and was dead. If you have that kind of circumstantial evidence, a lab analysis is not necessary,” he says. “Sometimes people send in plant samples for identification. It is important to send the root, stem, leaves, and if possible, the flower — because the flower is often what distinguishes it from other plants that look like it. The better (and more complete) the specimen, the better chance we have for identifying it. If someone just sends two leaves, it could be difficult. Another place to get plants identified is the agricultural stations and herbariums that specialize in plants in the ag sector. Some government organizations will send someone out to look around the pasture with you, give advice on what plants are there, and how you should control them, etc.” says Blakley. “Here in Saskatchewan you could talk to a livestock and feed extension specialist or a range management extension specialist,” Turnquist says. She was part of a group who recently prepared a new invasive plant species identification guide in Saskatchewan. 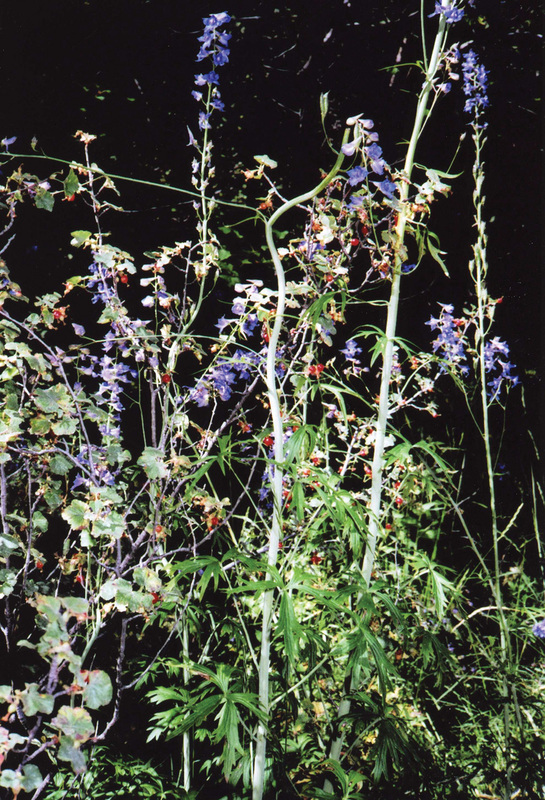 The new guide can be found at www.saskforage.ca/images/pdfs/Publications/Invasive-Plant-Guide.pdf. If you find a dead animal, don’t just assume it is a poisoning. Seek advice from your veterinarian. It may be an infectious disease like anthrax. If it’s a plant poisoning, you could get rid of those plants, but anthrax requires a totally different strategy. 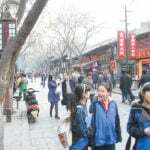 It is a reportable disease, and the carcasses of those animals would need to be burned. The cause of death could also be a viral or clostridial disease. To prevent future losses, you need to know. One final issue that sometimes comes up is food safety. If an animal ate toxic plants, became sick, and recovered, can it be slaughtered for human consumption?